To learn. To laugh. To live. To love. Most of the things that make life worthwhile depend on actions. And you can’t do (or discuss) any actions without one simple thing: verbs. For any sentence to be complete, it needs one. These little action words are essential to language. As you learn Spanish, you’ll learn a lot of verbs over time. Some you’ll use much more often than others. These 50 Spanish verbs are essential for every Spanish speaker to know in and out. Here, we’ll list them in their infinitive forms. This is the “to” form of a verb. For example, the infinitive form of “makes” is “to make.” In Spanish, the infinitive form is when verbs end in -ar, -er and -ir. It’s usually considered the most basic, purest form of the verb. 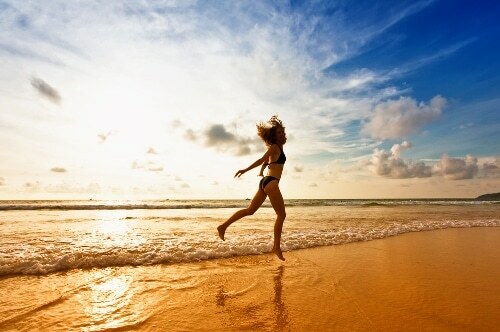 When you’re learning new Spanish vocabulary in any context, verbs will most often be listed in their infinitive forms. Consider the infinitive the raw ingredient that you use to make more complex recipes (or in this case, more complex verb forms). As you move forward you’ll learn present tense and preterite and imperfect tenses as well to get the recipe just right. To really polish your verbs, you might also need to try some unconventional approaches. Remember how we said infinitive verbs are like the raw ingredients you use to make more complex recipes? Well, without that ingredient, you would not be able to make the recipe at all. Sure, you can flail around, trying to find a way around the missing ingredient, but your dish (and your language skills) will tend to fall flat. Go ahead: Try communicating an idea clearly (either in English or Spanish) with no verbs at all. It isn’t easy, is it? In any language, skipping the verbs will make you sound (and feel) like a toddler minus the adorable chubby cheeks. Spend just a few minutes in a Spanish-speaking country, and you’ll hear most (if not all) of these 50 essential Spanish verbs. Learning them now will help prevent a lot of misunderstanding and confusion down the road. Play games. Games are certainly the most fun way to learn verbs—from fun timed quizzes on Sporcle to conjugation quizzes for all sorts of verb tenses on Conjuguemos, Digital Dialects and Learn Spanish Today. 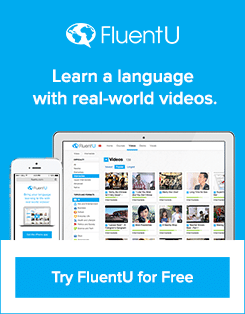 You could even go onto FluentU and start watching authentic videos clips from the real, live Spanish-speaking world. 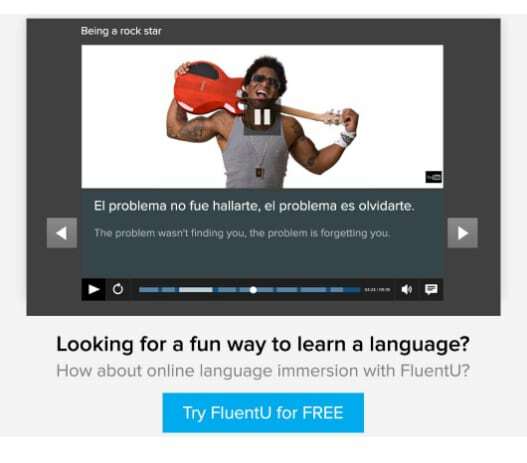 You’ll see all your essential verbs in action, being used by native speakers, and you’ll have cool interactive subtitles and dynamic learning activities to help you truly learn them all. When you have a little downtime, why not fill it with a fun game that will improve your knowledge of Spanish verbs? Used to describe essential characteristics, such as physical descriptions. Used to describe places, conditions or feelings. See a full explanation of the usage of ser and estar here. When haber can be translated as “to be,” it’s being used to describe if an object exists or if it’s actually present. When it can be translated more as “have,” it’s generally being used in combination with other verbs to describe things that have or haven’t happened. You’ll notice from the examples below that the conjugation of haber can be a bit weird. Its conjugations are irregular, so you’ll need to pay special attention to this one. This is used when talking about knowledge of facts or skills. This one is used with people, places and things—not with solid facts, knowledge or skills. These 50 essential verbs are the main ingredients for using Spanish effectively. With these in your back pocket, you’ll be able to understand and participate in virtually any conversation—at least on some level!